This top for Covered in Love is being sewn up out of scraps and stash. It actually started because I had cut 24 of those red squares for another project but ended up not using them, so they went into scraps. 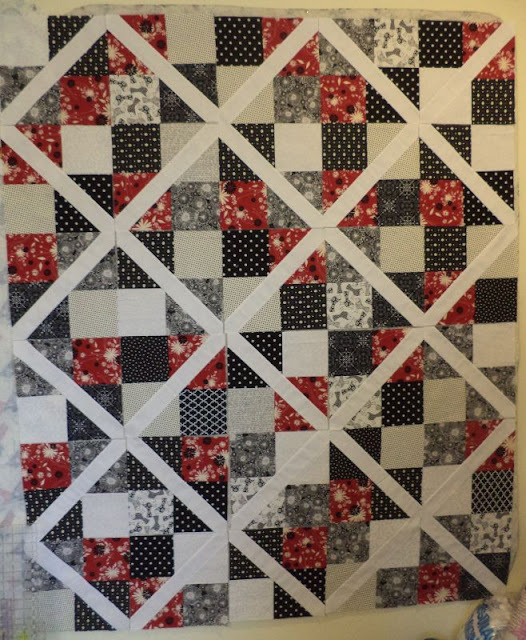 I needed a way to use those squares in a top and then I saw this tutorial: perfect! 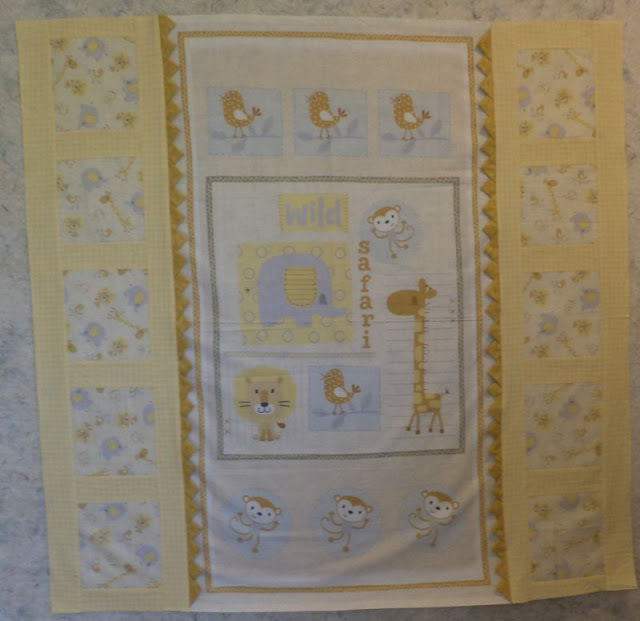 FYI, I used 5.5" squares and 2.5" sashing (both unfinished measurements). And here is the latest progress on my crumb blocks. 8 sashed, 3 to go! I am doing pretty good if I can tackle one of these per day. 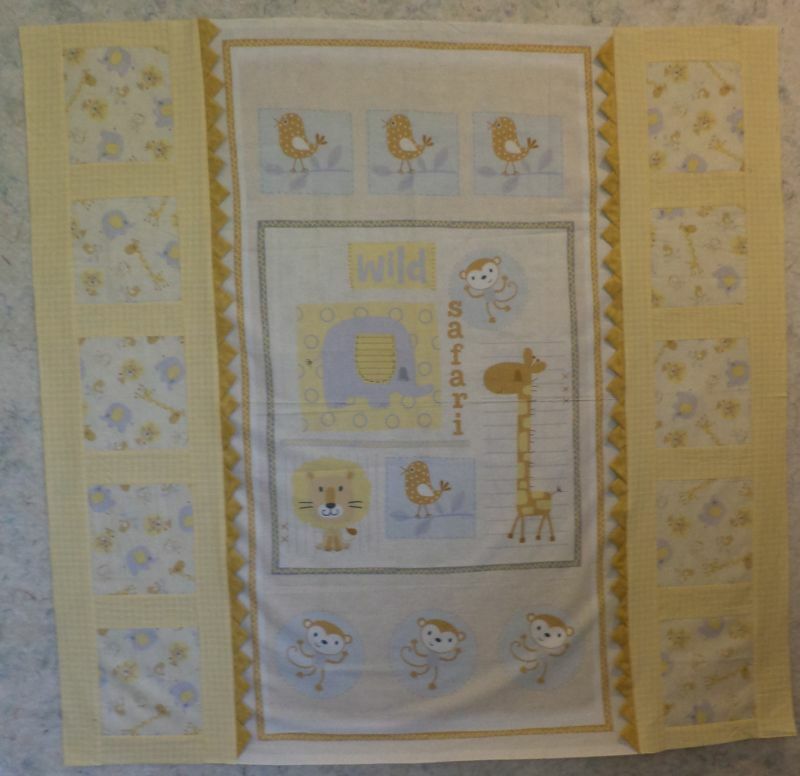 Also, I had this baby panel and a couple of coordinating prints in my stash for some reason, probably a remnants bin find. I stitched it together and, in the interest of trying something new added prairie points. Linking to Oh Scrap! 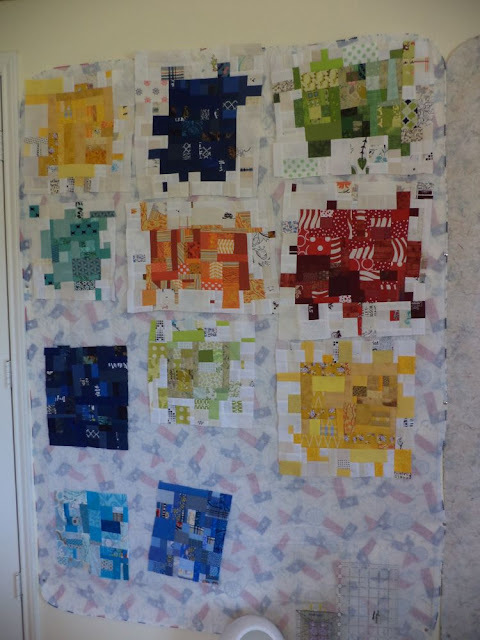 at Quilting is More Fun Than Housework and Design Wall Monday at Patchwork Times. Lots of yummy projects happening here! I really like your b&w & red one... it's looking very effective! 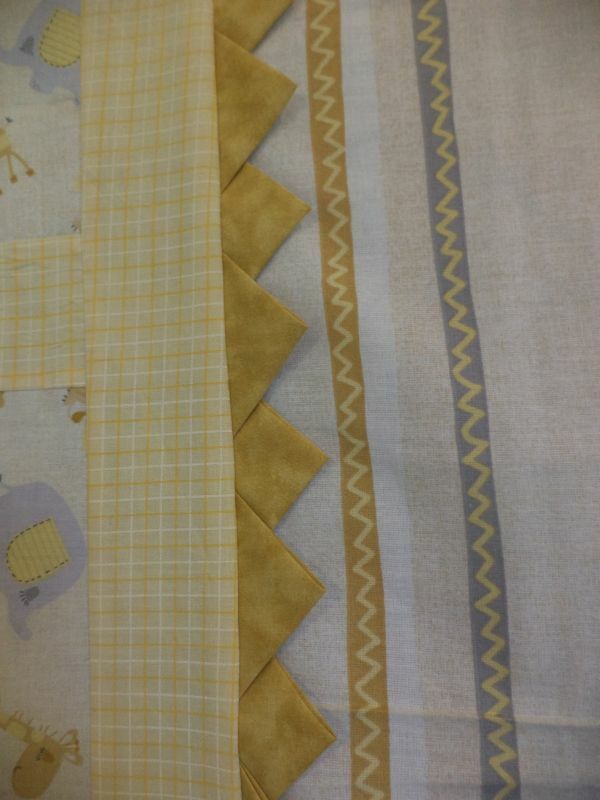 Very nice variety you are getting sewn together! I like that layout for the prairie points--different. I really love your Covered in Love quilt. I will book mark the tutorial, thanks. 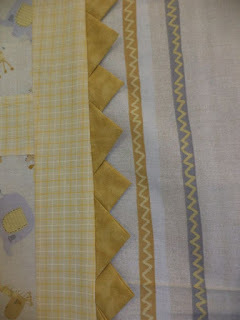 I love crumb blocks and I particularly love the way you have done yours in colour blocks. Wow, you are really getting things sewn up in your sewing room! Great use of those red squares. Thanks for sharing your projects with Oh Scrap!